Cousins Tackle, maker of premium rods of all types, is kicking off their “All American Instant Rebate” offer that will give customers who purchase a new Cousins rod a 10% cash back rebate on the spot. No forms to fill out, no websites to register on, or waiting months to see the money. Dealers will also have some incentive programs in the near future that will allow some price flexibility to even further the value to those wanting to try a truly great fishing rod from Cousins Tackle. This promotion will run until Labor Day, but don’t wait till then, because you’re going to want to be fishing with a Cousins rod all summer long. 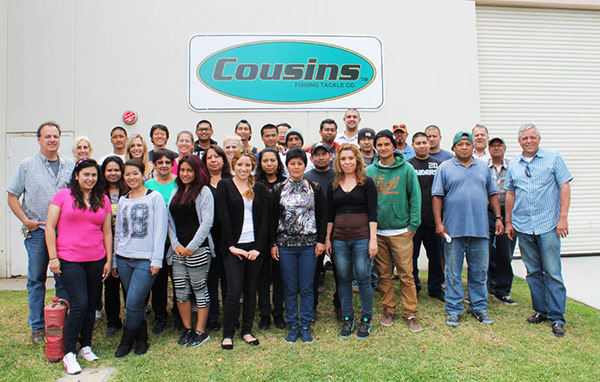 “We know we build the finest quality fishing rod in the country,” said Cousins Tackle CEO Bill Buchanan. “And our customers know this too, once they get their hands on a rod and fish it. We want to make it easier for dedicated fresh and saltwater anglers to purchase their first Cousins rod, and feel the difference for themselves. When you stack our product up against ‘high-end’ imports and even other American-made brands — in action, quality, fit and finish, durability — there is really no comparison,” added Buchanan. To sweeten the deal, Cousins Tackle will be inviting every customer who buys a new Cousins rod to a special Customer Appreciation Day this fall, with guided factory tours, food, refreshments and more. The date for this event will be announced soon through dealers, the company’s website and social media channels. “We’re very proud of our product, our people and our factory,” said Buchanan. “We’re a family-run company, and as far as we’re concerned, everybody who buys a Cousins rod is part of the family. We are excited about hosting our customers as a ‘thank you’ and providing an exclusive, inside look at how we build our blanks and rods. 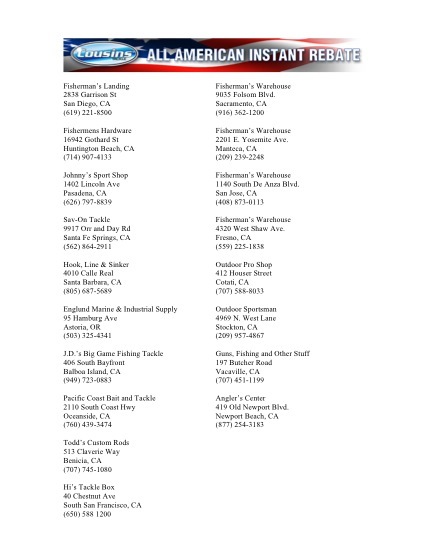 And unlike some other California-based rod companies, fishermen won’t need a passport to visit our factory,” quipped Buchanan. Visit their website at www.cousinstackle.com to learn about the many styles of rods they make for every type of fishing from freshwater to salt.